You’re at the start line of a WorldTour race and you’ve pulled up alongside former UCI Women’s Committee member Iris Slappendel What do you talk about? For two-time National Champion, Aussie go-getter Gracie Elvin it was always the sport itself. The highs, the lows, and of course the ‘elephant in the room’- the inequality. This conversation played out over and over again at start lines, neutral zones and post-race until in early 2017 the now retired Slappendel approached Elvin with an idea. Our Women’s Reporter Gemma Mollenhauer sat down with Gracie Elvin to hear the full story of how that idea turned into the inaugural women’s rider union: The Cyclists' Alliance. With the aim to ‘represent the competitive, economic and personal interests of all professional women cyclists during and after their career’s’, the Cyclists’ Alliance will deal specifically in contract and educational support, career advice, legal and retirement assistance as well as work towards promoting women’s cycling to a larger audience and improving economic opportunities within the sport. Elvin sums up the alliance as a platform to give riders power to make decisions that affected them on a personal level as well as the sport itself. With her role as Communications Director, Elvin deals in the financial side of the business, which includes budgeting meetings and rider events. Although humble about her small part in this story, she explains that it’s been a big team effort to get the union off the ground and in order to keep momentum; it’s going to take a unified peloton to create lasting change. “Iris has done the bulk of the work and Carmen Small has done a lot as well. We’ve had a lot of great people around us helping, advising and giving their time and resources. It’s not just been the three of us,” said Elvin, “It’s been a big team effort to get it off the ground and I’m proud to play my small part in it so far. Although she admits to being slightly hesitant to take on the role after Slappendel first approached her with the idea, Elvin says she quickly came to her senses. Confident in her ability to balance working as a professional cyclist, studying at University part-time and now working to create a lasting and positive change in women’s cycling, Elvin says she’s at the right time in her career to take on a role such as this. “I’m in the right time of my career, I feel like I’ve still got a lot to give and achieve personally and I think I can still go for some big results. I know what works for me, so I’ve got that little extra capacity to work on other things like this cause,” said Elvin. 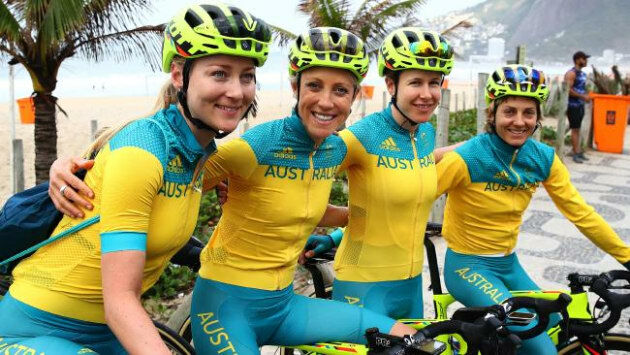 “To be fair it probably could’ve happened a few years ago, not with us but with other people”, Elvin told Bicycling Australia Magazine, “I think there’s been a good environment for it to happen for a long time but certain people along the way have put it off or said that women’s cycling isn’t ready. I think we’ve been ready for a long time. Is Women’s Cycling Really That Bad? Women’s cycling, and women’s sport in general, has always faced adversity. Women racing in the professional peloton have long since fought for better (or any) pay, race opportunities and safety. So far, it’s been a loosing battle. But how bad is it really? 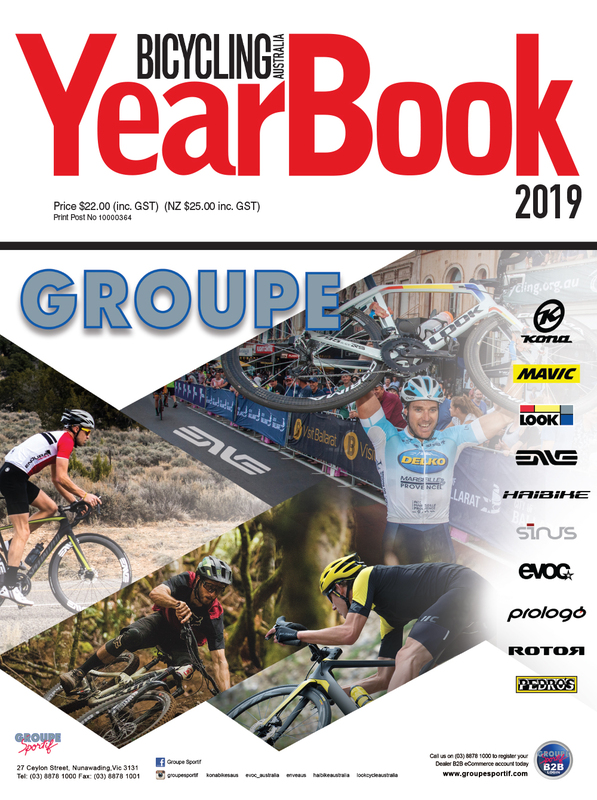 Although many women had experienced inequality in the sport first-hand, in the Spring of 2017, it was Slappendel herself who compiled and sent out over 450 rider surveys from every UCI-registered team. With over 300 responses, the message was clear: change is needs to happen for the sport to grow, and that time for change is now. Even in her 6th year riding as a professional, Elvin says she was shocked by the results. It was revealed that nearly half of the women’s UCI peloton races for less than $8000 in a year, with 17.5 percent of that group going completely unpaid, and nine out of 10 signed their contracts without any legal assistance. Note: Unlike men’s cycling, women’s cycling has no minimum wage regulated by the UCI. While male WorldTour riders can expect a minimum of $46,500 (a number set to increase this year thanks to a joint agreement by the Professional Cyclists Association (CPA) and the International Association of Professional Cycling Groups (AIGCP)), and pro Continental riders boast a smaller, but substantial $38,842 per year. In women’s cycling many female ‘pro’s’ continue to race unpaid and must hold down a part-time job to survive. Wages aside, the survey also revealed a critical need for health insurance, career guidance and a trustworthy entity that hears and voices riders’ concerns and protects their collective interests when it comes to contracts, disputes and rider safety. And so, from grim survey results and a conviction that they deserve more, The Cyclists' Alliance was born. While Elvin’s the first to admit she’s been really lucky with financial support, she’s quick to point out that throwing more dollars at the issue is just a ‘Band-Aid’ solution to a larger problem. “Its not a case of begging for equal prize money or forcing regulators like the UCI to make rules that there needs to be minimum prize money or salary because at the end of the day its not their money that they’re putting up. It’s [the] money from race organizers and sponsors that’s going to drive those financial gains for cyclists,” said Elvin. And she’s right. While the obvious solution would be having a minimum wage for female professional cyclists, it’s not that simple. During the 2013 election campaign of recently replaced UCI president Brian Cookson, talks of developing women’s cycling were ripe and the introduction of a minimum wage was used as the cornerstone to his campaign. After a successful election however, he soon came to the conclusion that a minimum wage would be “counterproductive,” pointing to the UCI Women’s Commission cost-benefit analysis that showed that half of the women’s UCI teams would be unable to meet such a standard and would fold in the process. “The women who have been involved in the Women’s Road Commission have told me that the result of that [creating a minimum wage] would not be 500 women suddenly being paid the minimum wage; they’ve told me that actually most of the teams that currently present themselves as professional teams would fold or re-register as amateur teams, so they wouldn’t end up paying those women anything at all anyway,” said Cookson in late 2014. Well according to Elvin, it’s simple: less is more. 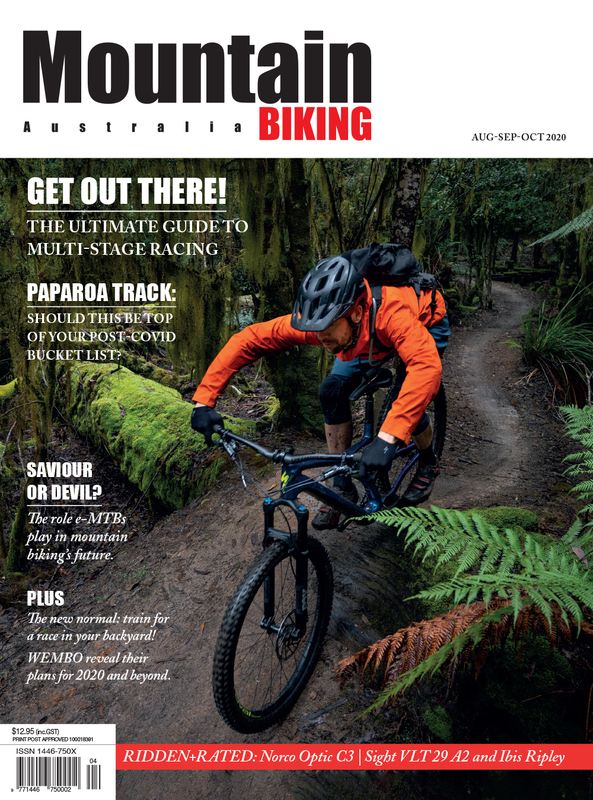 “You don’t need to spread the sport too thin”, Elvin told Bicycling Australia. “Creating better storylines in the races, better series’ and better opportunities for teams to come to those races is going to make a big difference…Just creating a bit more equity within women’s teams is going to be a big difference. While the idea of a two-tiered system isn’t new, Elvin- backed by the union, still believe this is the best way to boost the sport and create lasting change. As it stands currently there are only 44-registered UCI women’s teams with the top 20 automatically invited to compete at Women’s WorldTour level. But the reality is, that in most circumstances, the teams ranked below 15 are amateur and while giving smaller, less experienced teams a chance to race at a higher level sounds good on paper, it makes little sense. A lack of resources, regulations and results exists between the teams ranked at top and the teams ranked at the bottom and splitting the field would provide not only a much better system but is the clear next big step in women’s cycling, according to Elvin. “We might loose a few women’s races that are aligned with the men’s races along the way but I think ultimately that’s going to be better for women’s cycling because that means we’re going to be able to create our own business model”, said Elvin. The results of creating a two-tier system would not only solve the problem of smaller teams pulling out of UCI-status if they were unable to cover a potential minimum wage requirement- as explained by former UCI president David Cookson, it would also provide a clear development pathway for upcoming female cyclists. Through this model, true WorldTour teams would have a different set of expectations and regulations to adhere to- such that developing teams would not, including a set number of race days, riders per roster and of course, minimum wage. What about Australia’s Development Path? “It does sometimes feel like one step forward two steps back, I think in general we are still moving forward”, Elvin said in relation to the Aussie women’s scene. 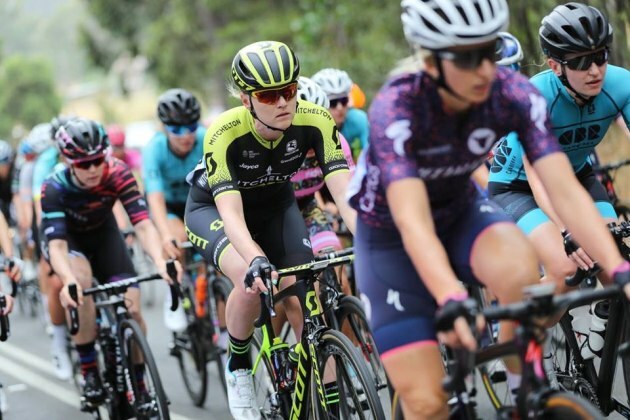 Despite a few key moments, such as the 2018 edition of the Santos Women’s Tour Down Under announcing equal prize money for the foreseeable future and the announcement of the Victorian Government’s backing of inaugural women’s Herald Sun Tour held in conjunction with the 65th edition of the men’s event, women’s cycling in Australia continues to be a fight for equality. 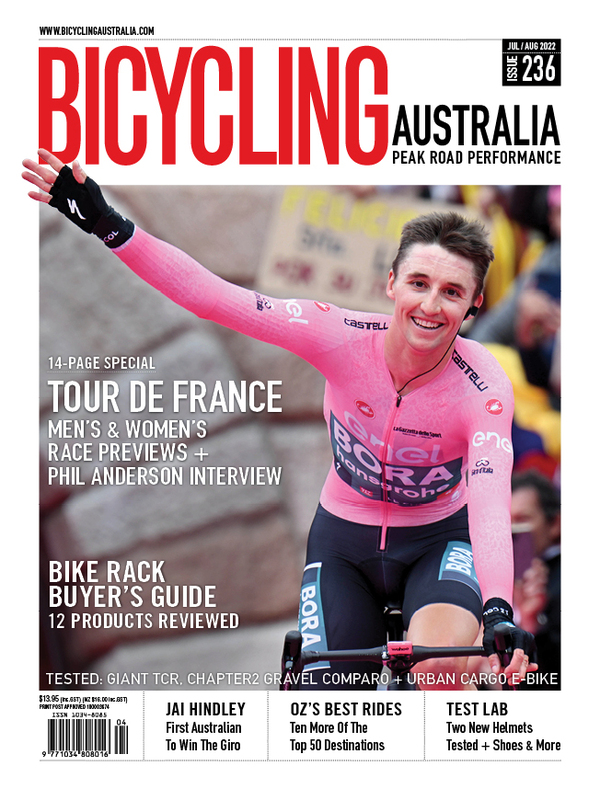 “Its definitely a balancing act of where to put pressure on and where to be grateful,” said Elvin, “In the future I’d love to be part of developing Aussie cycling a bit more, because now there’s just a massive big gap”. With the national Women’s Development Team being cut from Cycling Australia’s funding, along with the initial decision to fill only 5 of the 7 spots for the UCI Road World Championships last year (a decision that was eventually overturned after Chloe Hosking and Rachel Neylen won their appeals), not to mention a number of National Road Series (NRS) teams including NSWIS Sydney Uni NSWIS and High5 folding prior to this season, there’s no doubt there’s room for the Aussie women’s scene to flourish. Elvin counts herself lucky that she was able to come through at a time when there was a solid national development program and believes that opportunities like these are how Australia will maintain it’s top-level ranking at an international level. “It’s really difficult for riders here who want to improve because it’s too much of a big jump to go to Europe. I’d really like to see better NRS racing for women and better opportunities for them to go away. For now I guess the only thing I could say is for riders to just go to those local races, those handicaps and state races because at the moment you’ve just really got to do it for yourself and invest in yourself,” said Elvin. For someone who’s seen both up’s and down’s of the sport, Elvin’s extremely optimistic about the future of women’s cycling, but knows it won’t be without its challenges. For now, along with her team at The Cyclists' Alliance, she’s using her natural Aussie grit and determination to create a more equal sport for athletes both now and in the future. According to Elvin: “At the lowest level, just watching anything that’s available to watch because people are looking at who is watching these races, they’re looking at the rates of what’s being streamed and watched on TV, what articles are being clicked on. Keep clicking and keep watching. Non-professional cyclists, and general supporters of equality within women’s cycling can also support The Cyclist’s Alliance by donating to the cause at cyclistsalliance.org.